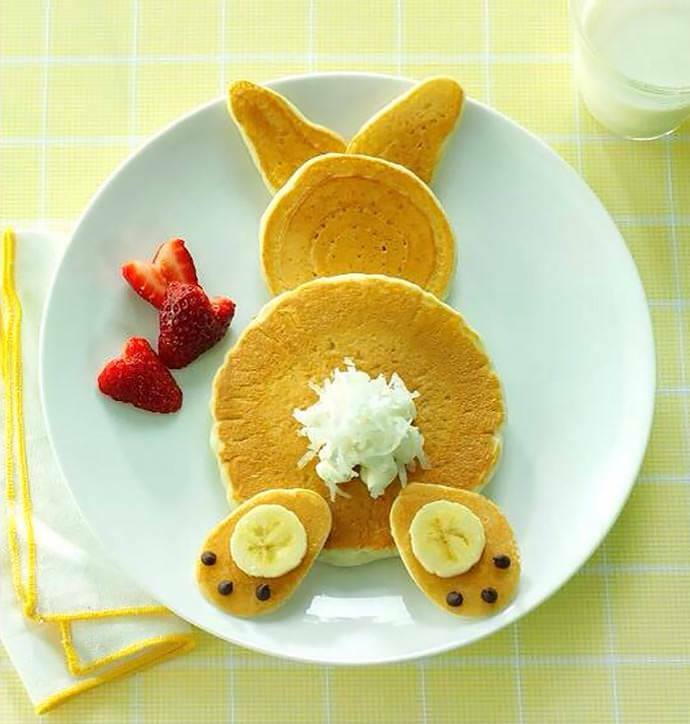 What a cute idea for an Easter Breakfast. Make one large, one small, two small oval and two elongated oval pancakes. Add shredded coconut, banana slices, chocolate chips and strawberries for teh side as shown. Very cool and the kids will really enjoy it. This entry was posted in Recipes, ~Breakfast, ~Holiday and tagged Banana, breakfast, bunny, chip, chips, chocolate, coconut, easter, pancake, rabbit, shredded, slice, slices, strawberries, strawberry. Bookmark the permalink.